The Pool website has shut. As many as 24 staff are facing redundancy. 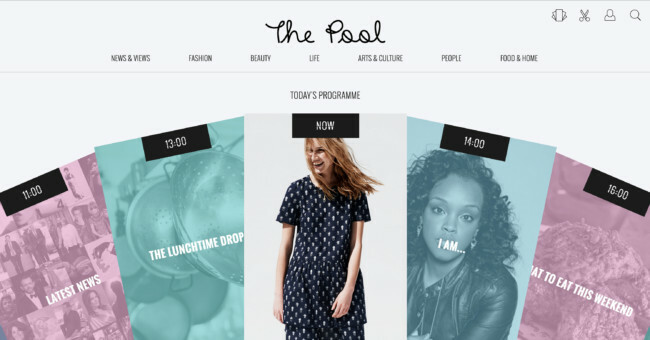 The site, fronted by BBC Radio 6 presenter Lauren Laverne and former Cosmopolitan and Red editor Sam Baker, was running at a heavy loss. The Pool Ltd racked up a net loss of £1.84m in the year to the end of March 2018. The previous year it lost £1.36m. Who backed the website aimed at women? The overheads must have been big to incur such a loss. The site was only set up in 2015. You wonder what the business plan was? The Guardian says the site was “known for its relatively generous freelance rates in a struggling industry”. A Go Fund Me page aims to raise money for the unpaid staff. The Pool is being funded by early stage investors Fourteen17 and aims to be profitable next year. It is using native ads to generate revenues, with one brand partner signed up to an annual tenancy and more in the pipeline. Big splash. Big names. Lots of nice coverage from other media hoping for links back. And then the competition bites. All publications write with a reader in mind. All good writing foments emotion. Oddly, for an all-female crew, the only company director – of 8 – who remained til the end is a man.